After two eventful days on Shikoku island, we finally got a good night sleep before Shingo and I started out on our second side-trip. 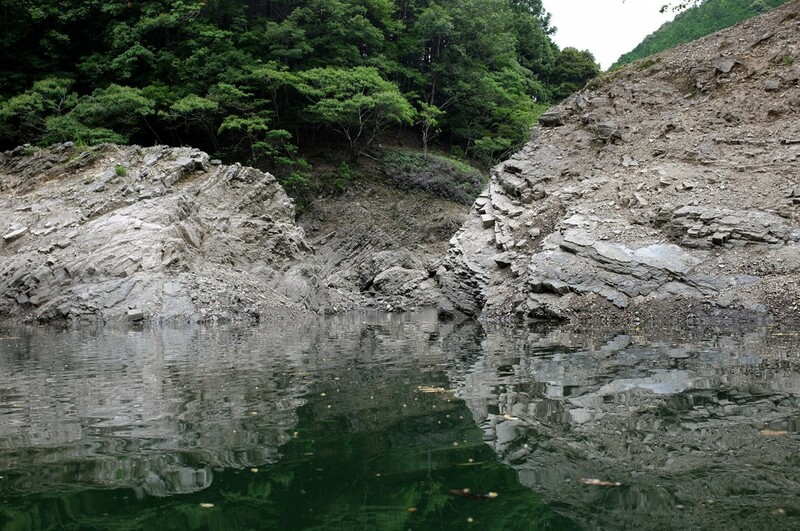 This time we where taking the coastal highway and curvy mountain roads in direction Shichikawa Dam. 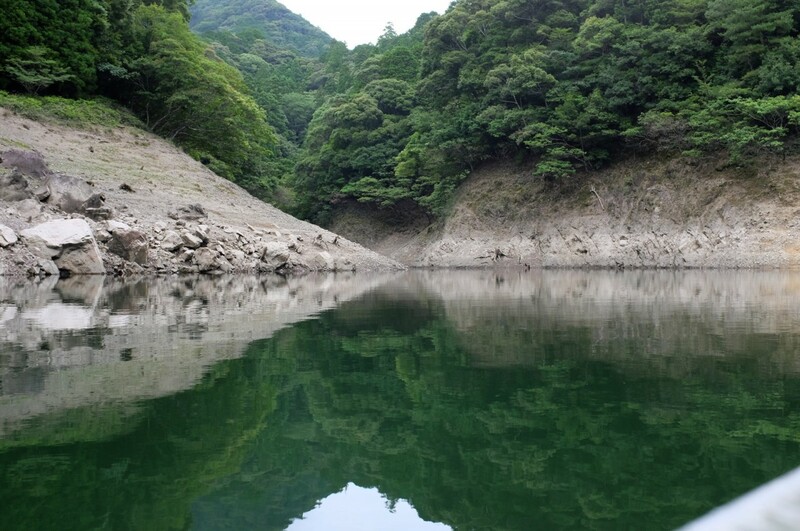 A reservoir, I’ve seen many times before, if only virtually while enjoying Genuine Record’s “Surface Trip” DVD. This Alvan production is really one of my all-time favorites. 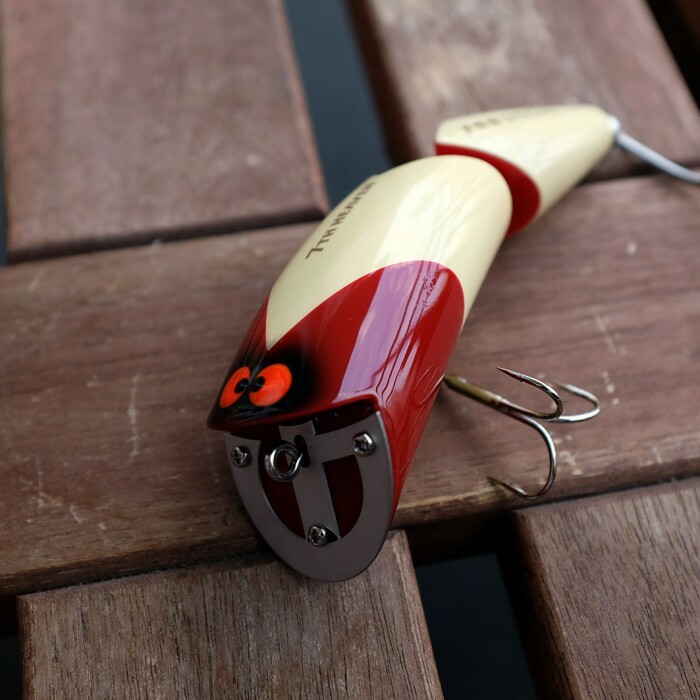 Not only because I’m adoring Mr. Hirayama’s quirky and highly unique lure designs, but because it’s blending a jazzy soundtrack with footage form the green and fascinating scenery of this beautiful place. Not to forget the two charismatic fishermen showcasing their skills and great sense of humor. We arrived in the afternoon teaming up with good friends Mr. Hirayama, Yoshimasa Nagata of Rotton’s fame, Takeshi Fukuma of 2tone and Max. Conditions where close to perfect when we started out on two boats exploring the reservoir in different directions. I shared the boat with Takeshi Fukuma and Max, which was fun and highly entertaining. Of course we haven’t seen in a while, but there was an assuring familiarity in proceedings. 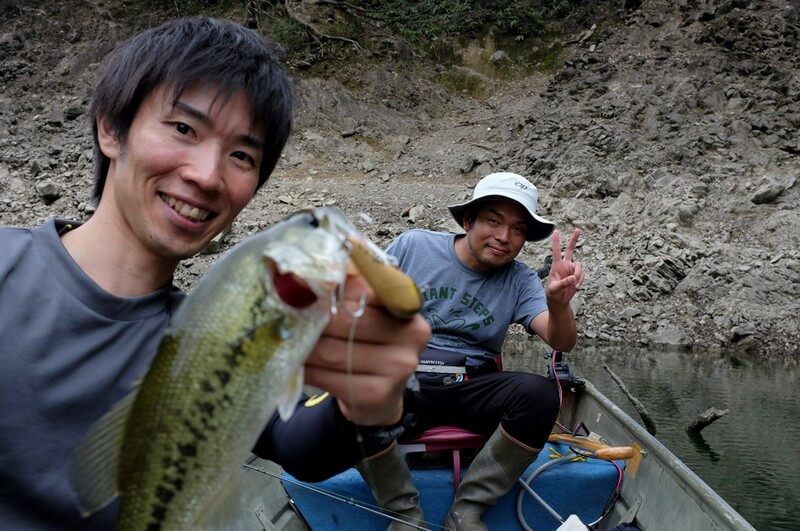 It was already the fourth time I was fishing together with Takeshi and of course I brought my favorite 2tone lures for our joined fishing trip. I started using last years release of “Hi-Avergae” – a sweet little double-swisher, subtly moving and perfectly suited for condition and field. Around the hour-mark, I got a first subtle bite in a shallow area just after we spotted a young Sikha deer drinking from the banks of the reservoir. I missed out on this first soft bite, but was able to lure the fish to bite again with two short twitches and some subtle prop turns. The fight was short, but the landing procedure was greeted with big cheers and smiles. This was a pretty good fish for Shichikawa and Takeshi did a great job shooting some fantastic pictures. Thanks again! Happy and in good spirits we continued fishing the reservoir in direction to it’s dam with light rain setting the scene. Within the next hour or two we caught five more fish, with each of us weighting in with exactly two of them. I caught my 2nd on a special edition of Record’s “Frisky” – a limited release celebrating Max’ marriage the year before. The rain got quite heavy when we where approaching the reservoirs dam meeting our fishing companions. All three of them where in good mood besides being almost fully covered in their rain suits and hats. They had a few fish too, so everyone was happy with the results of this first day. We spent the night at a guest house very close to the reservoir, which was a fantastic experience. 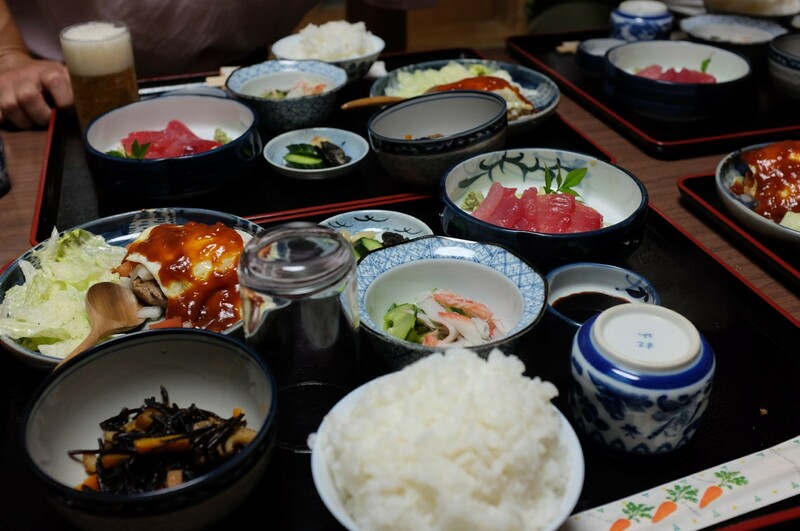 I doubt there’s a more authentic way of experiencing the traditional Japan, than staying in a few hundred year old wooden guest house in the rural countryside. 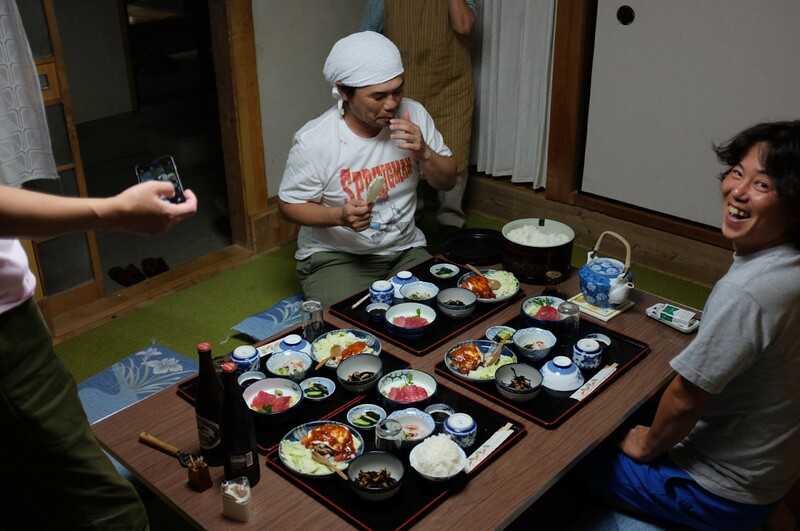 I remember we where still talking around 2 am next morning, enjoying iced white wine while tackling topics ranging from lure building chit-chat to the difficult situation and future prospects of Japans Topwater Scene. 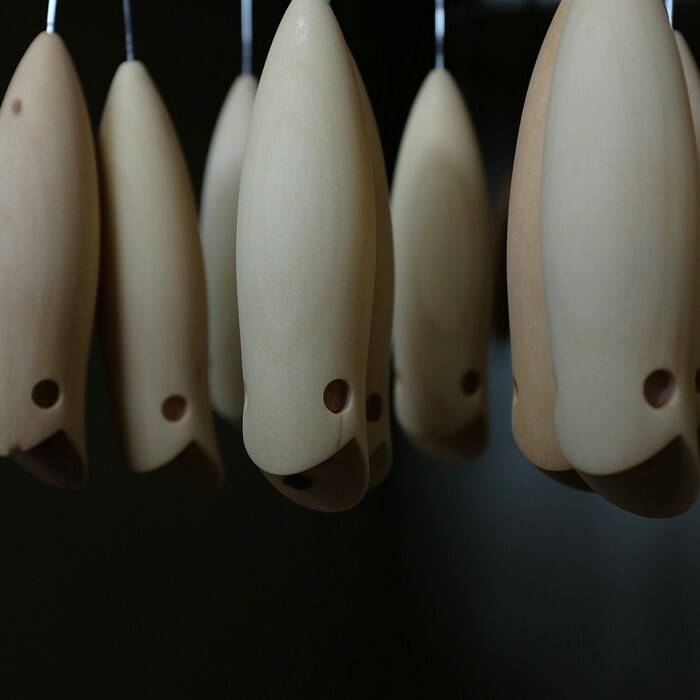 Since a while the scene is suffering from a decline in numbers and a lack of connection to younger generations of bass fisherman. 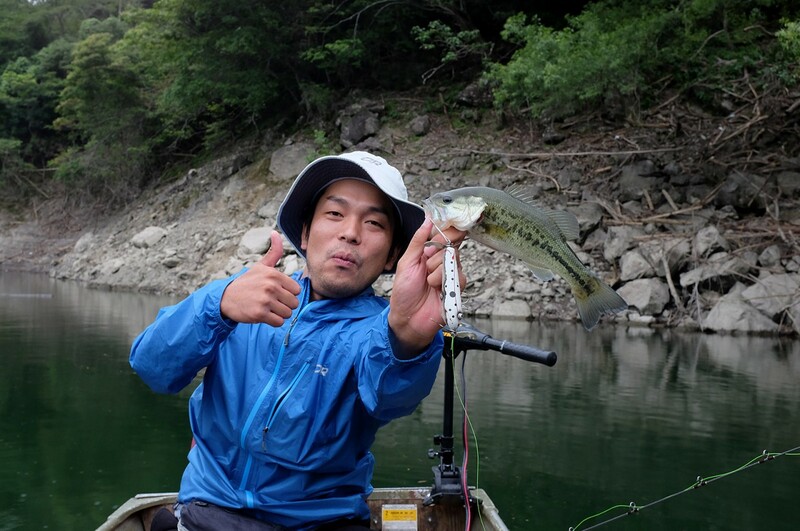 That bass fishing is still considered as “bad play” by many Japanese people is playing a role too. Black Bass is still seen as an invasive species responsible for the decline, displacement or extinctions of other species. Unfortunately we had to call off the 2nd trip scheduled for the next morning, because of bad weather conditions. Strong winds and heavy rain made fishing the reservoir impossible. Of course all of us where slightly unhappy, but the good company and a lengthy coffee stop at the roaring coast of the pacific ocean made up for it. Ich habe damals einmal hier was kommentiert, aber es ist etwas lange her… ich bin mir nicht sicher, ob du dich an mich noch erinnern kannst. Das ist sehr schöner Bericht. 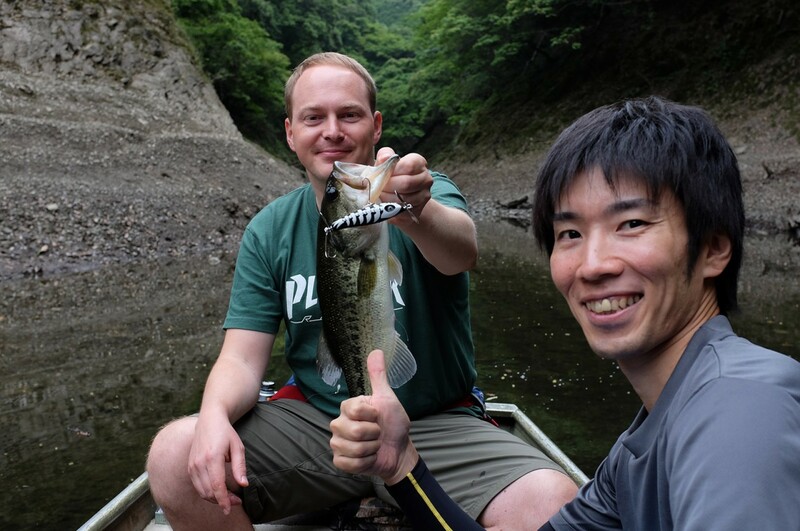 Es erinnert mich an damalige Zeit in Japan, in der ich auf Topwater-Game so abgefahren war. Meine Philipson und Abu5000c sind bei meinem Bruder in Japan. Seit dieser Saison habe ich wieder mit Topwater angefangen. Zum Glück habe ich wenigstens meine Topwater plugs mitgebracht, als ich letztes mal in meiner Heimat war. Vielen Dank für schöne Berichte. Danke! Bin etwas neidisch :)! Wir sollten uns bei Gelegenheit einfach einmal treffen. Bin leider momentan beruflich sehr eingespannt, daher zeitlich etwas eingeschränkt. Ich würde mich einfach per Email bei dir melden, wenn das ok ist. PS: Philipson mag ich sehr!